Stay tuned for upcoming events for Dubai Zoo in near future. Dubai Zoo is the oldest zoo of its kind not only in the United Arab Emirates but also in the Arabian Peninsula. Dubai Zoo also happens to be the first Arabian zoo to breed the rare Chimpanzee and Arabian wild cat. It is a special place of interest and fun for tourists and the people of Dubai and H.H. Sheikh Rashid bin Maktoum, the late Ruler of Dubai, permitted Otto J. Bulart to build the Zoo on a two hectacre plot in Jumeirah and in those days The Dubai Zoo became a landmark as it indicated the “town’s end“. 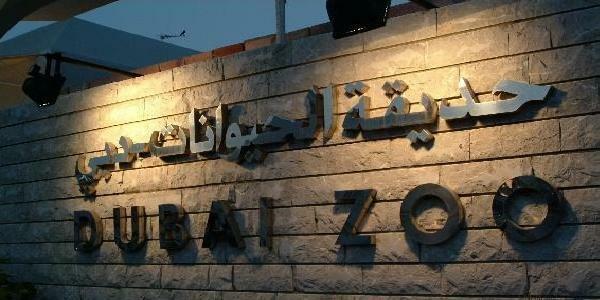 During the first couple of years of its existance, the Dubai Zoo housed only a few animals like the big cats, monkeys and hoofed-animals. There was also a small acquarium with some fishes and reptiles but when in 1971 the management of the Dubai Zoo was taken over by the Dubai Municipality a part of the Zoo was redesigned and rebuilt. From then to the present there is constant re-designing and renovation. Best Viewed at 1024 x 768 pixels and above. This Page loaded in 0.06654 seconds on Fri, Apr 19, 2019 (06:22).